Jason Hatfield - Recording Engineer for the author and others. "The magic of recorded music is people playing together." Read more about my recording philosophies and where I came from. 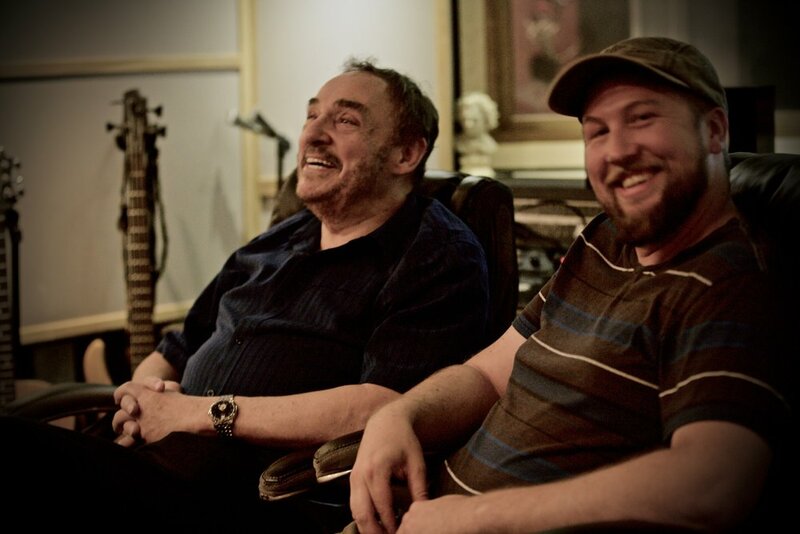 John Rhys-Davies from The Lord of the Rings and I after a long day in the studio. Go VO!